While we're still getting stray showers and cold weather, days are also lasting longer and afternoons getting hot and sticky. You know what that means, right? Yes, it is now safe to cop a new pair of sneakers because there's no more fearing the rain. 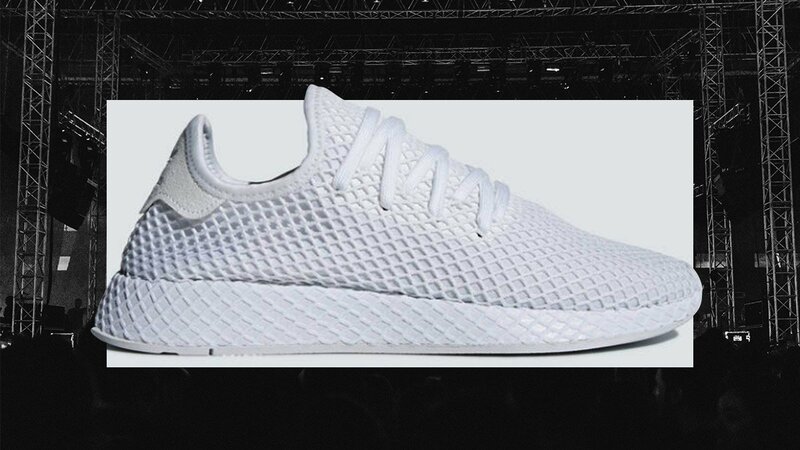 Somewhat unexpectedly, adidas' latest does not feature a Boost sole. Instead, the new Deerupt model gets some inspo from the archive and comes out fully wrapped in a funky web pattern—this stretchy layer goes over a mesh upper and extends all the way to the rubber outsole. The all-white colorway is our personal fave because the web gives it a lot of low-key texture, which elevates it above your usual all-white pair. On the inner side, you get some sneaky and very contemporary text (if you know what we mean) and a lowkey homage panel to the NMD. We can also already imagine the nightmare it'll be to clean if you do get it dirty but you can totally check out our sneaker restoration guide for that.